Here are 4 Questions one must answer before renting. Some may seem obvious, but you would be surprised at how many times one is forgotten. How cheap is too cheap for you? Everyone loves a deal, but there's a point when it stops being one for you. If you can't stand cockroaches and small spaces, then you're probably not going to want to live in the cheapest apartment you can find. 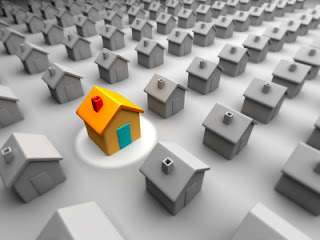 Knowing what you can skimp on and what is just nonnegotiable is a must when it comes to finding an somewhere to live. Where is it located in relationship to everything important to you? If you find a good place 7 miles away from school in the middle of nowhere, then you might want to keep looking for something else. Your going to find yourself never staying home and having people over if you live somewhere that no one wants to be. Like the old saying goes "Location, Location, Location". Before signing the lease, have a look around the place and see who is currently living there. You can get a pretty good feel for the type of people that live in a apartment complex just by hanging around for an hour or two. If you can, come around at night as well to see how loud it gets. This might sound a little extreme, but if your one of those people, like me, that find it impossible to sleep with loud noises, then you might want to invest some time before you sign. Who are you going to room with? This is obvious, but you would be surprised how up in the air this question can be right up until everyone signs the lease. I've seen it plenty of times; people saying they're going to room with you and then flake for this reason or that. Make sure the person that says they're going to room with you is reliable and isn't going to leave you hanging if they find something else.